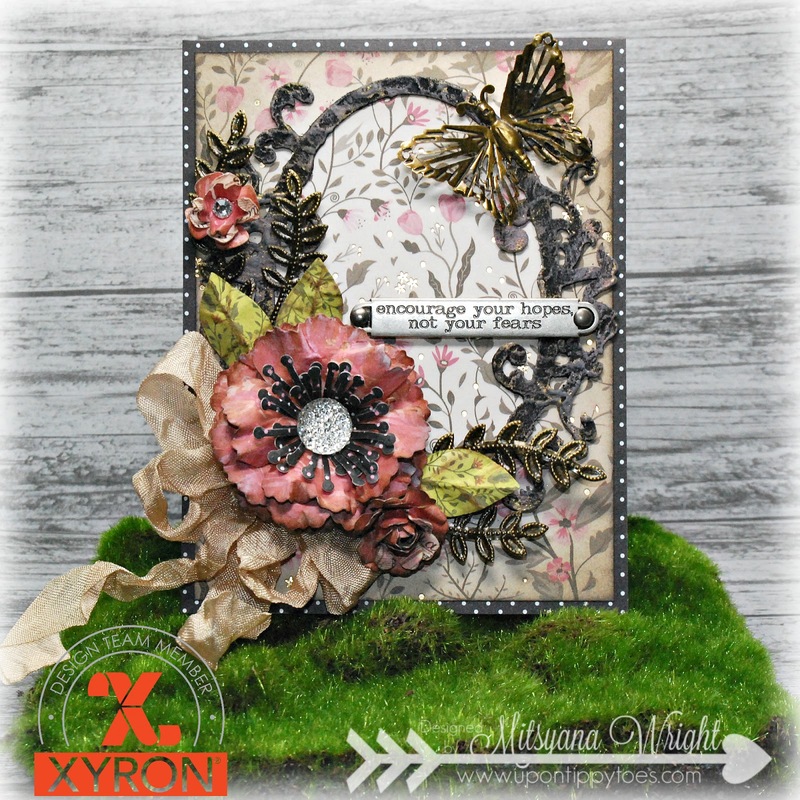 I'm back again with Team Xyron... and this week we partnered with the wonderful people at DCWV to bring you tons of inspirational projects! I was beyond excited because I had instantly fallen in love with it when first saw it at Creativation this past winter. This stack is GORGEOUS!! Oh, how I wish I could take it home me (that and many of their other stacks as well). Fast forward to the present and I couldn't be happier that it made its way home to me! If you are looking for papers that are utterly and romanticly charming, then this is the stack for you! 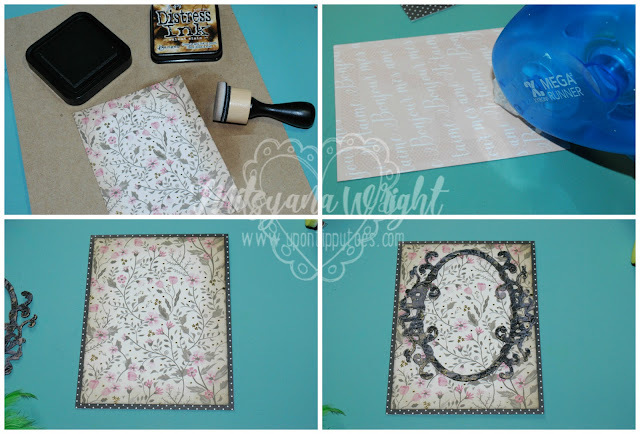 So I used these beautiful papers to make this stunning encouragement card. I started by cutting my paper down to 4.25" x 11". Then folded it in half to create a standard A2 sized card base. I also trimmed down a piece of patterned paper down to 4"x 5.25" creating a card mat. I cut 2" and 3" squares from coordinating papers. 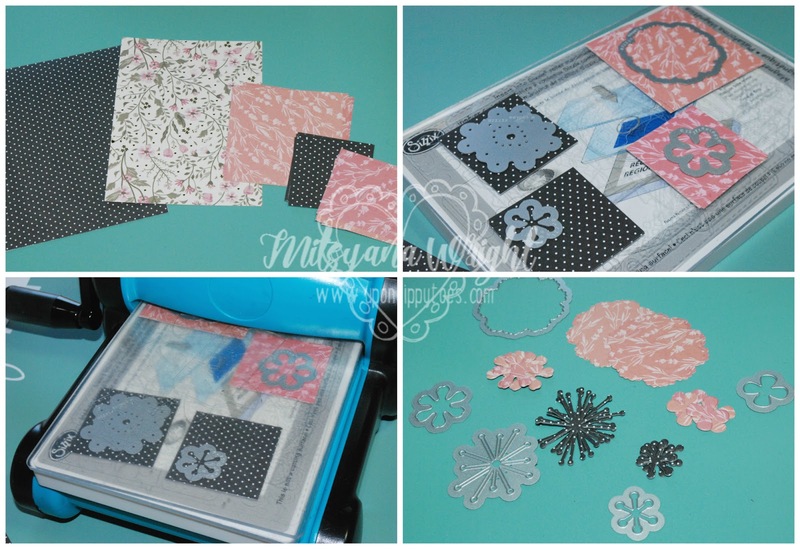 Using Eileen Hull's Stitchy Flowers & Leaf dies, I die cut flowers 3 large flowers, 4 6pt flowers, and 3 of the small 4 pt flowers. I also die cut 3 Large and 2 small stamens but ultimately decided against using those smaller stamens. With a scissor, I made cuts toward the center of the flowers creating longer petals. Then, I inked the edges of all the flower petals using Walnut Stain Distress Ink. 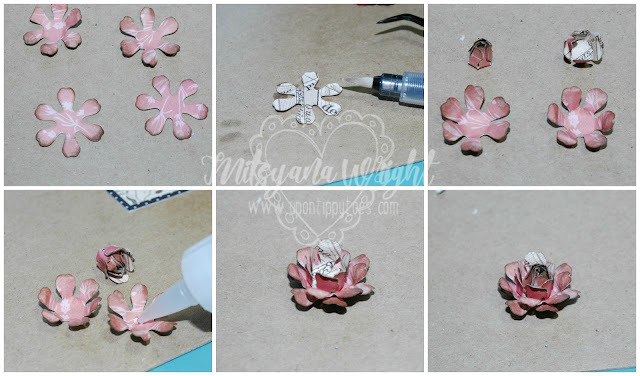 To make the small rose I used 4 - 6 petaled flowers and dampened them using a water brush. I shaped and curled the petals. Then layered them inside of each other and secured it together with liquid adhesive. 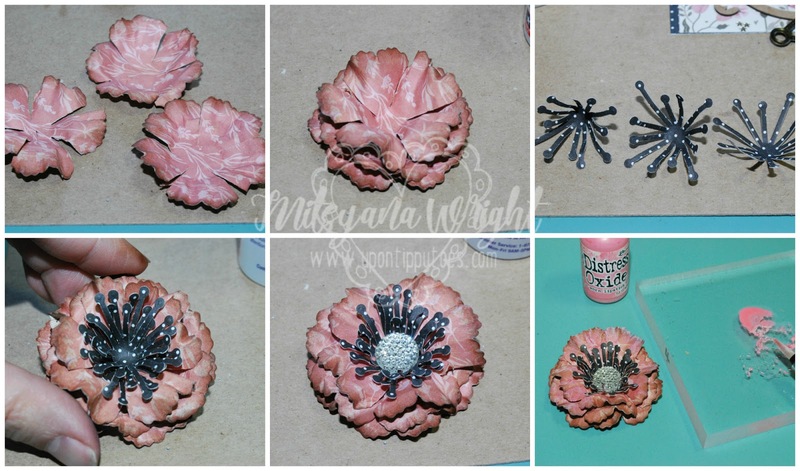 For the larger flower bloom, I used the 3 large flowers that I made incisions into and again used my water brush to dampen and shape my flowers. To speed up the drying time and make the flowers firmer I heat set the flowers. I layered the flowers and secured with more adhesive. Then repeated the same steps on the stamens. Then. I attached a rhinestone cabochon to the sender. The flower ended up being a little too brown for me so I decided to brush on a little Worn Lipstick Distress Oxide ink onto the flower petals. This flourished frame from Gypsy Soul Laser Cuts was so pretty but seemed so flat... 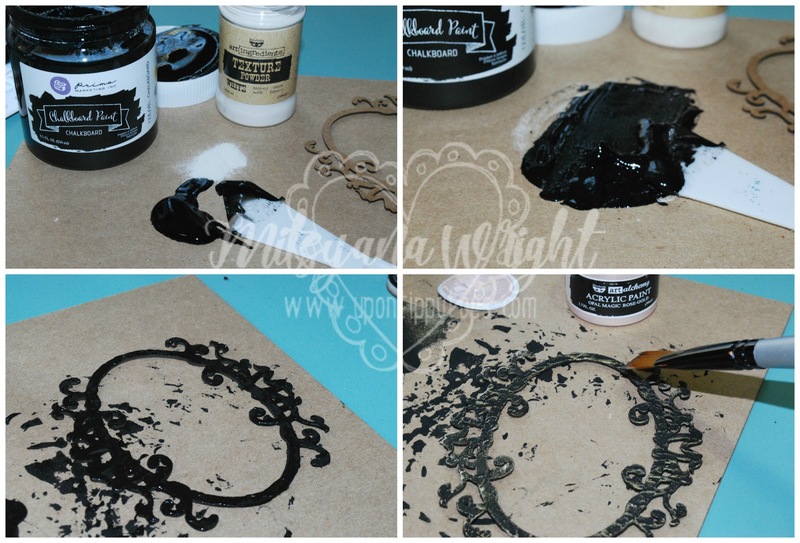 So I added texture by brushing on a mixture I made by mixing black chalkboard paint and texture powder. Then dry brushed Rose Gold Opal Magic Acrylic Paint over the raised texture. I die cut 3 leaves (also from the Stitchy Flowers & Leaf die set). 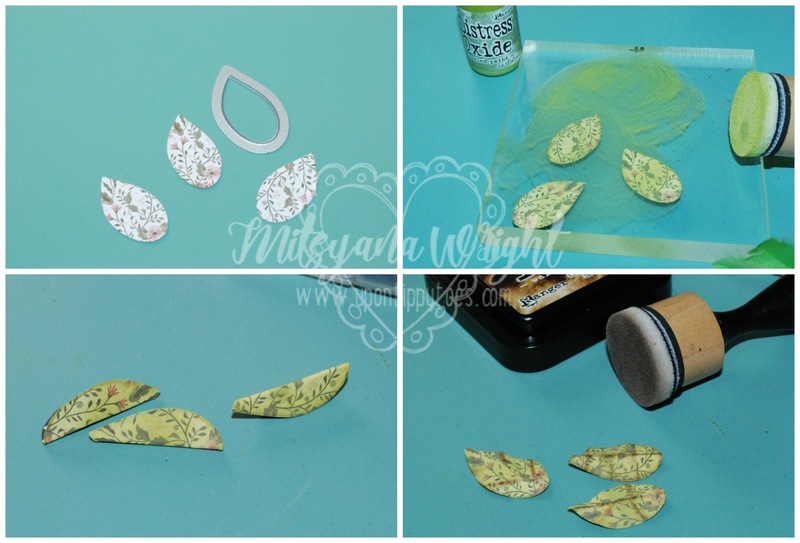 Then inked them with peeled paint distress oxide ink and heat set it. I folded and cresed my leaves. Then inked Walnut Stain Distress Inks over the creased edges. Next, I inked around the edges of the card mat with more Walnut Stain ink. I centered and attached the card mat to the front of the card base using my Xyron Mega Runner. Then, attached the frame to the front of the card using more Mega Runner adhesive. The dot matrix system ensures that the adhesive sticks only where I need it to. Then using a strong liquid adhesive I attached my metal leaves and bow to the frame. Then attached the leaves and flowers over top. Lastly attaching the metal butterfly and word band sentiment across the frame. I hope you enjoyed my project for the day and even more so I really hope you enjoyed Wrapping up our fantastic week with DCWV!! Please come back and visit soon!